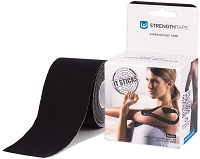 STRENGTHTAPE® Kinesiology Tape can assist to relieve pain and provide stability to the joint by improving function of the associated muscle. The AC joint, or acromioclavicular joint, is where the collarbone meets the shoulder blade. Fractures and separations are the most common injuries at this site, with arthritis also being common. Weight lifters often experience overuse inflammatory pain or sprains at this joint from push exercises, and contact sports can result in separations and fractures due to shoulder first contact, as is common in football or hockey. Please remember to visit a healthcare professional for evaluation. Body Position: Sit or stand with arm relaxed by side. Step 1: Using a half strip, twist and tear the backing paper down the middle. Remove backing paper, but leave ends to hold. 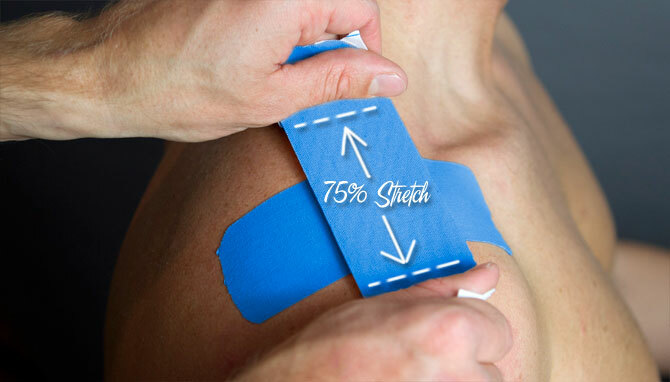 Stretch tape to 75% and apply over the tip of the shoulder, making sure to cover the most intense point of pain. 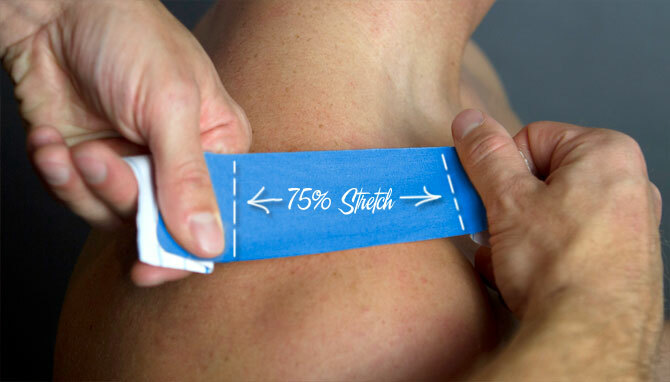 Peel off the remaining backing paper and lay each end down with no stretch. Step 2: With the second half strip, repeat the previous step to form an "X". Step 3: Bring the arm in front of the body. 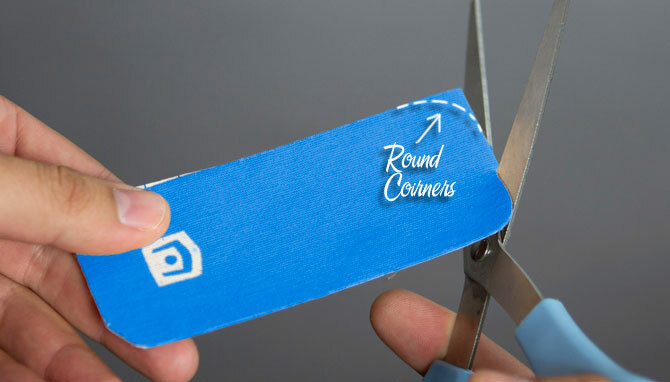 Using a full strip, twist and tear the backing paper about an inch from the end to create a base. 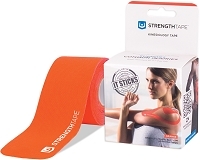 Remove the paper at the base, and apply a few inches above the elbow with no stretch. Stretch the tape to 50% and apply along the posterior shoulder muscles. Lay the end down with no stretch. Step 4: Bring the arm behind the body. Repeat the previous step along the anterior shoulder muscles.